In the first part of this two-part article series we looked at common diet mistakes and how to fix them. If you’ve followed those tips then you’ll already be seeing some great results. To boost your progress even further though we want to use this article to look specifically at exercise – in particular the more common mistakes people make when using exercise for weight loss. Previously we discussed that in the early stages of a weight loss plan, diet is more important than exercise. That still rings true. In order to lose fat you need to be in a daily calorie deficit. The fact that it is easier to eliminate junk food from your diet, as opposed to working hard in the gym to burn it off, means that diet is a much more readily manipulated aspect of your program. That said though, when done properly, exercise can really boost your progress. Not only that, it can improve your overall health, decrease the risk of long-term illness and add athleticism and performance to your physique too. To really ramp up your weight loss you need to incorporate weight training into your program. How high your metabolic rate fires is all controlled by how much lean tissue you have – if you want to shed fat then you need to add more metabolically active tissue. Aim to train fairly heavy. This means choosing weights that really challenge you to complete 8-12 reps. Keep your rest times short in order to elevate your heart rate and burn more calories. 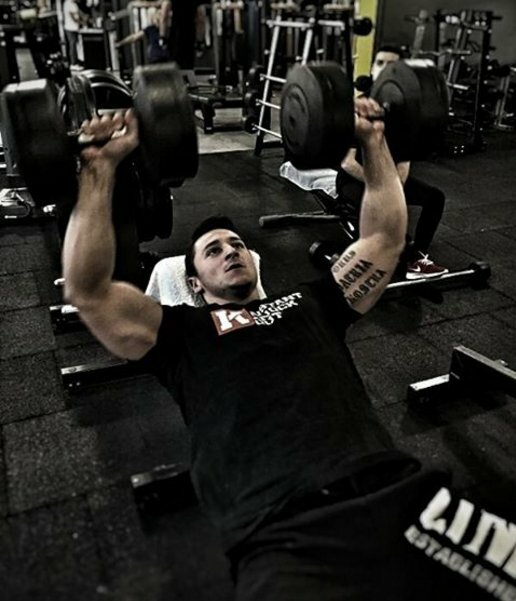 Additionally, keep the volume high so aim for 3 or more sets of each exercise and 8-10 exercises in total each session. Finally, go for exercises with ‘more bang for their buck’. This means multi-joint press, pulls and squats need to form the core of the program. Don’t be too concerned about getting muscular or bulky. With the calorie deficit, inclusion of cardio in your program, and lack of testosterone (for the women) you’ll find it very hard to put muscle mass on. What you will find though is that as the fat comes off you’ll discover lean, toned and athletic muscles that highlight a shapely and curvier you. Moderate intensity cardio builds endurance and improves markers of metabolic disease but isn’t the most effective weight loss tool in your tool box. Some studies have even found that cardio can be detrimental to fat loss. For example a study published in the International Journal of Obesity  found that those who ran furthest were more likely to gain weight in the long-term and that they had to employ more vigorous exercise to lose the weight again. This is likely due to the fact that prolonged endurance exercise reduces muscle mass, which in turn reduces metabolic rate. Replacing steady state cardio with high-intensity interval training – an intense training method using period of hard work followed by recovery – is much more effective. It burns far more calories per minute and is more effective at retaining (and in some cases increasing) lean muscle levels. The other huge benefit of interval training is that it not only burns calories during exercise, but in the period following exercise too. Excess post-exercise oxygen consumption (EPOC) is the process by which your metabolic rate is high after training in order to restore the body to its pre-exercise state. Studies show that exercising at intensities below 70% of maximum heart rate – such as with moderate cardio – has little to no EPOC effect (around 20-30 minutes), whereas exercising above 80% can increase metabolic rate for over 10 hours . One of the best combinations of weight training and high-intensity cardio is strongman training. Just don’t let the name fool you into thinking you’ll end up looking like the bulky, muscular strongmen of old. Modern strongman training is just as much about conditioning as it is raw strength these days. They are leaner and more athletic than they’ve ever been, and that’s reflected in the way that they train. The multi-joint, compound lifts involved in this style of training revolve around deadlifts, presses, carries and pulls – all great calorie burners. Like traditional weight training, you’ll boost your muscle levels helping you to burn extra fat. You’ll also improve your fitness and the added EPOC effect from the conditioning work will get your metabolic rate soaring. Incorporate exercises like loaded carries, thick bar training, tire flipping and sled pulls to really optimize your body composition. In fact, there are even studies that show that these strongman style exercises can improve body composition, strength and muscle mass more than a traditional weight lifting routine . It’s great that you’re going to the gym and working hard – you’ll really be moving towards your goal now. But don’t use that as an excuse to be sedentary the rest of the time. Research suggests that those that go to the gym often compensate by being less active away from it. In doing this you’re missing out on a whole new level of calorie burning – non-exercise activity thermogenesis, or NEAT. NEAT refers to any physical activity that isn’t structured – walking, dancing, playing, gardening and cleaning are all activities that burn calories. Granted, they might not burn many per minute, but increase your daily activity levels and these calories will soon add up. Walking will add around 100 kcal per mile, dancing burns over 440 kcal per hour and cleaning will rack up 190 kcal per hour. Don’t use the gym as an excuse for missing out on other fun, fat burning activities. Just to put this to rest, the whole concept of ‘muscle confusion’ – the idea that if you somehow confuse your muscles you’ll stimulate better adaptations – is flawed logic. It doesn’t work like that. But, there are a number of other reasons to change your workout every couple of weeks. Firstly, the concept of progressive overload is very important when aiming to boost weight loss, improve fitness or add muscle. Overload is the process of making workouts more challenging once your body becomes accustomed to it. This helps your body adapt accordingly. You can overload the body in a number of different ways – add more weight, run quicker or for longer, reduce rest times or make exercise techniques more challenging. If you aren’t progressing the difficulty of your training, your body will just stop adapting. Secondly, it is important to regularly change your workout for motivation. Doing the same exercises in the same order, day after day, will soon become boring. Over time that might lead to you skipping sessions or stopping exercising altogether. You don’t need to change the whole workout, but little changes here and there really work wonders. In order to maximize your weight loss results and carve out a physique you are proud of, you’ll need to incorporate exercise into your overall lifestyle. Optimizing what you do in the gym can really make a difference, so it is important not to fall into the trap of the common mistakes people make when undertaking a fitness program. Avoid these and you’ll reach your goals much easier.